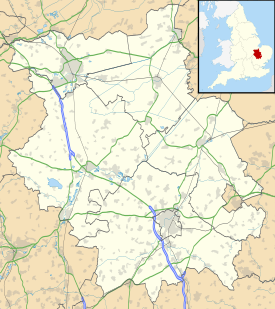 Royal Air Force Alconbury or more simply RAF Alconbury is an active Royal Air Force station in Huntingdon, England. The airfield is in the civil parish of The Stukeleys, close to the villages of Great Stukeley, Little Stukeley, and Alconbury. Opened for in 1938 for use by Bomber Command the station has been used from 1942 by the United States Army Air Force and then the United States Air Force. 15 Squadron from 15 April 1940 to 15 May 1940 operating the Bristol Blenheim IV - temporary move from RAF Wyton. 40 Squadron from 2 February 1941 to 31 October 1941 operating the Vickers Wellington IC - moved to RAF Luqa, Malta. 52 Squadron detachments from RAF Upwood during 1939 with the Fairey Battle and Avro Anson. 156 Squadron formed at Alconbury on 14 February 1942 from elements of 40 Squadron with the Vickers Wellington, moved to RAF Warboys in August 1942. Units based at RAF Alconbury. It was announced by the Pentagon on 8 January 2015 that RAF Alconbury and RAF Molesworth would be closing by 2020. Most of the units at Alconbury and Molesworth will be moved to RAF Croughton, along with the personnel. ^ "RAF Mildenhall to close amid other Europe consolidations". Stars and Stripes. Jefford, C.G. (1993). RAF Squadrons. Shrewsbury, England: Airlife Publishing. ISBN 1 85310 053 6. Wikimedia Commons has media related to RAF Alconbury. This page was last edited on 13 February 2019, at 20:43 (UTC).